Dilapidated roofs and floors. Crumbling walls, ruined buildings. This is the picture of the Macedonian dormitories. This image is synonymous with Macedonian student standard. SCOOP Macedonia did a research on student living in Macedonia compared to other Balkan countries. For this purpose, we compared several parameters of student standards in Bulgaria, Romania, Serbia, Croatia and Slovenia. These countries are closest to us geographically and according to development. In all comparisons our students live much more miserably than all the other students in the capitals of the Balkans. The average pension in Macedonia is 12,000 denars and Prime Minister Nikola Gruevski increased it by over 70% in 9 years. For students the state allocates only 3,300 denars. “This Government thinks only of pensioners and does not give a penny for students. 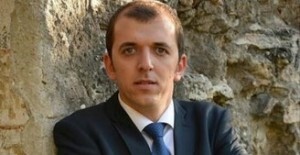 The amount of the scholarship has not been changed since the last decade”, said Stojan Rashkov, postgraduate student at the Faculty of Civil Engineering in Skopje. And when the state throws them on the margins, we can only imagine the amount of scholarships compared to other countries in the region. Croatian, Bulgarian and Serbian students have higher scholarships than ours both in value and percentage. 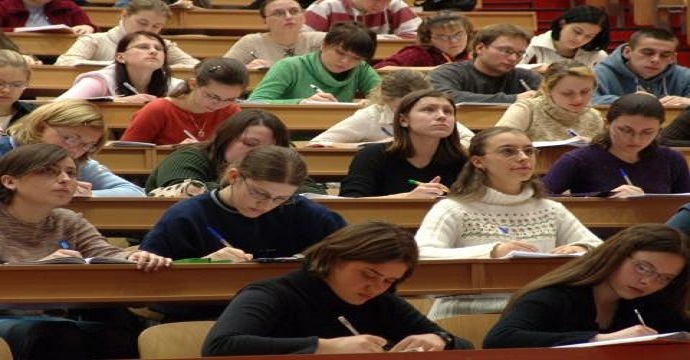 Macedonian future academics have only 14% of the average salary for student life per month. Under the research we did, our students are not very familiar with the amount of the scholarships, but require more regular payment. “The scholarships that are awarded by the state are fine in value, but I think they should be paid more frequently, e.g. every month rather than twice a year. There should be more scholarships because I have friends who are good students but have no opportunity to get a scholarship because those granted are few for so many students”, said Danica Karatashova, Law Faculty Justinian I. For Samoil Malcevski, president of the Student Union of the University “St. Cyril and Methodius” in Skopje from 2007 to 2009, student organizations have not done anything for the students. “The recent increase in scholarships was in 2008/2009 for some minor 10%. We put a lot of pressure, negotiations on the then Ministry of Education”, he adds. 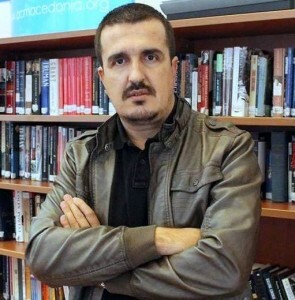 “Today I cannot give a statement, but on all current topics about student standard I have already expressed my attitude and opinion in the media”, reads Spirovski’s message. Slovenia is a leader in the distribution of scholarships, where these incomes range from 400 to 3,000 Euros for the most talented students. That is triple the average Slovenian salary. Macedonia should allocate nearly 16% of the average salary to cover accommodation and food for a student in state dormitories. By comparison, it is followed by Croatia and Slovenia with 15%, Serbia 11% and most favorable food and accommodation have Bulgarian students in public accommodations of the Students’ town in Sofia. Despite being relatively most expensive, Macedonian dormitories have much worse conditions in terms of Serbian and Croatian ones. “I spent a period of my student life in the student dormitory in Belgrade and it was amazing. Dormitories in Belgrade are quite different from those in Skopje. 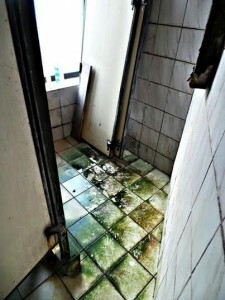 Every room has its own bathroom, not like in Skopje, only one bathroom on the floor. The canteen in my time was great, and now they say it is even better”, Aleksandar Stevanovic from Nis recalled his student days with nostalgia. The capital of Austria, Vienna is cheaper for student living than Skopje. Only accommodation in dormitories is 4 times more expensive than Skopje, but considering that the average salary is 3,600 Euros, accommodation in dormitories in Vienna is only about 6% of the average salary in Austria. Here the average salary is 21,000 denars, accommodation at the dormitory is 3.000 denars, i.e. 15%, which is three times more. On the other hand, scholarships in Vienna are from 500 to 1,000 Euros, which means that the lowest scholarship in Vienna can cover accommodation, train tickets, public transport tickets and still the student has 200 Euros. In Skopje, the scholarship cannot cover accommodation in the dormitory, let alone the public transport or train ticket. Unlike there, Rashkov complains that the student standard in Macedonia is not only the lowest, but the inflation also reduces it every year. “A steak in 2011 cost 70 coupons, now 100. This is an increase of nearly 50%. The same year we paid 40 coupons for bread, now it is 70”, said Rashkov. Simeoncho Stoikov, a student at the Law Faculty Justinian I Skopje complains about the food quality. “Although the last 4 to 5 years efforts were made to improve the accommodation, they are far from optimal conditions that are to be met. The prices we pay, i.e. rents are not expensive. An obvious problem is the lack of food, the same few dishes, no variety”, said Stoikov. For Malcevski, student organizations are the most responsible for reducing student standard. “For the reduction of student standard the most responsible are representatives of student organizations. All boards of directors in dormitories have one representative nominated by the student organization. Their members attend the sessions of those board meetings where decisions are made and where annual plans are determined. A review of the decisions of dormitories’ governing bodies is made there. If they had been silent at the board meetings when the decision was made prices to be raised, then no one else is to blame for the decline in the student standard but the student organizations themselves”, said Malcevski. Macedonia is a unique country where pensioners have more privileges than students. While some countries in the region provide free transport for students, such as Romania in Bucharest, in Macedonia free public transport is only for pensioners. Students still pay the most. They have a discount, which is the lowest in the Balkans or only 33%. The free student card in Skopje is 1.050 denars, while free card for adults is 1,700 denars. Croatia’s case is interesting. From the site of Zagreb Holding, which includes the public transport company, it can be seen that students and pensioners have the same discount. Here, it is not the case. The situation is similar when traveling by train. In Macedonia there is a discount for youth up to 26 but there is no special discount for train tickets for students, they have free bus ride only on Thursdays. Students themselves are partly to blame for this condition. “So far there has been no initiative for free public transport for students. Ministry of Education has no plan to implement it. This requirement applies to the public transport company of the City of Skopje”, they state from the Ministry of Education and Science. For Malcevski, this is incomprehensible. “Practically I cannot recognize the organization that I ran from 2007 to 2009. If I think a sword does not cut a bowed head, they forgot that poltroonery can achieve nothing”, said Malcevski. It is striking that pensioners in Macedonia have three days a week free ride, while students have only one day, Thursday. Pensioners have no obligations and students need to go to university every day. “There should be more days for us because we go to university every day”, said Ivona Jaksic, student at the Faculty of Philology “Blaze Koneski”. Unfortunately, Macedonia is a country where pensioners are worth more and have more privileges than students. Maybe that is one reason why 500,000 Macedonian citizens, mostly young people, have emigrated in the last 10 years. Next Next post: State Commission for Prevention of Corruption in chaos: fight against corruption or protection?